The information you are viewing for this event is from Saturday, Feb 16, 2019. 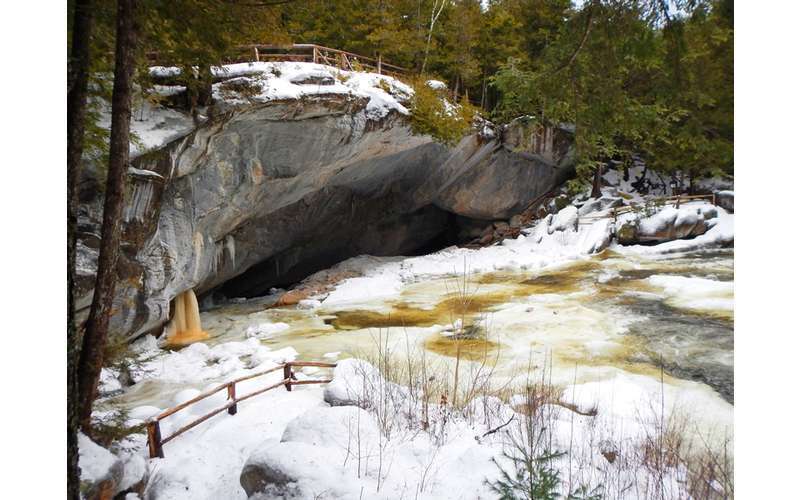 Snowshoe hikers and runners are welcome to come to enjoy Stone Bridge in the winter. 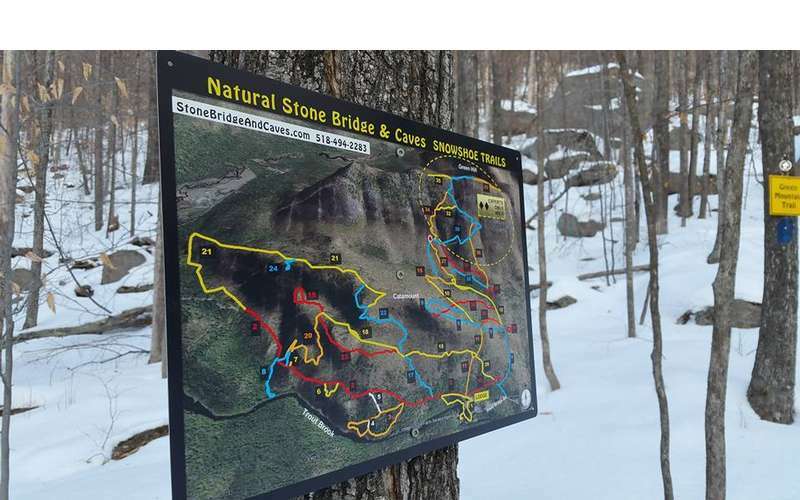 The 2019 races will highlight interesting features of some of the over 14-miles of snowshoe trails as Natural Stone Bridge and Caves Park continues the DION WMAC Snowshoe Series. 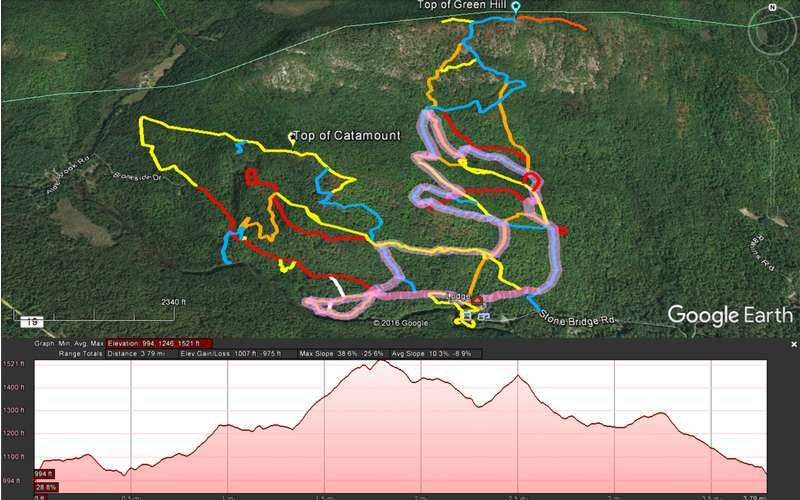 The course offers views of Trout Brook, the southern Adirondacks from the top of Catamount, dark hemlock forest groves. 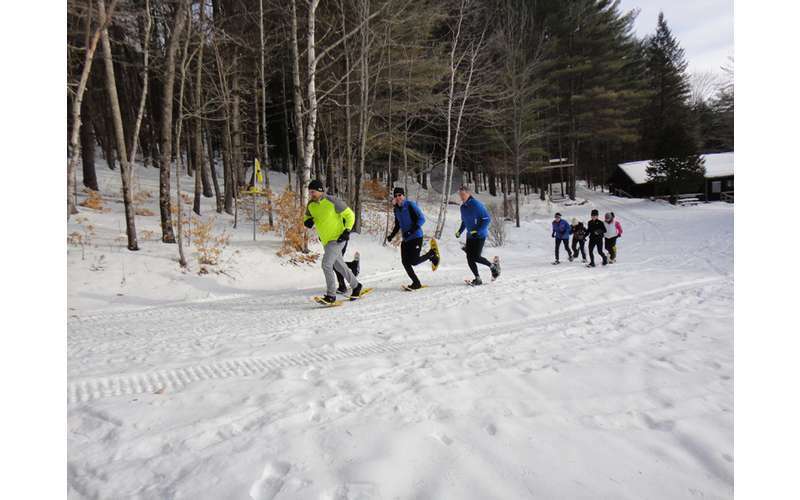 The 6k Snowshoe Race - over 14-miles of snowshoe trails - starts at an elevation of 990-feet and climbs up to 1445-feet just before the half way mark - then back down with several flats. 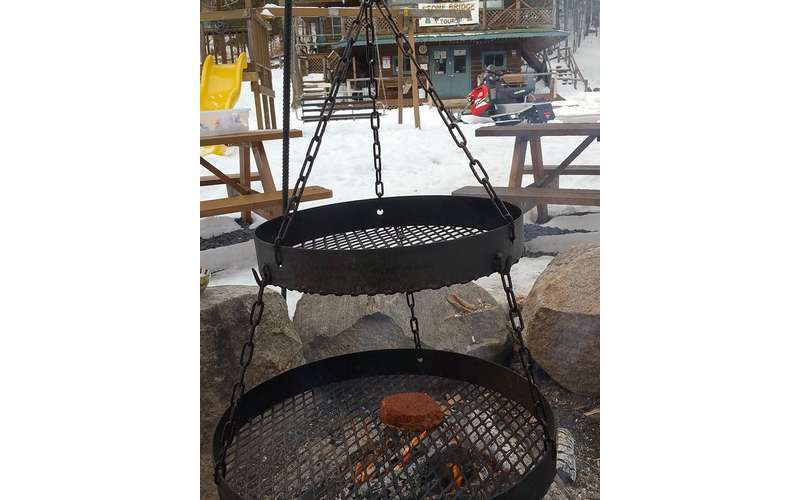 You'll be racing on a combination of groomed and single track trails with over half the course double track and two short connectors through the woods. 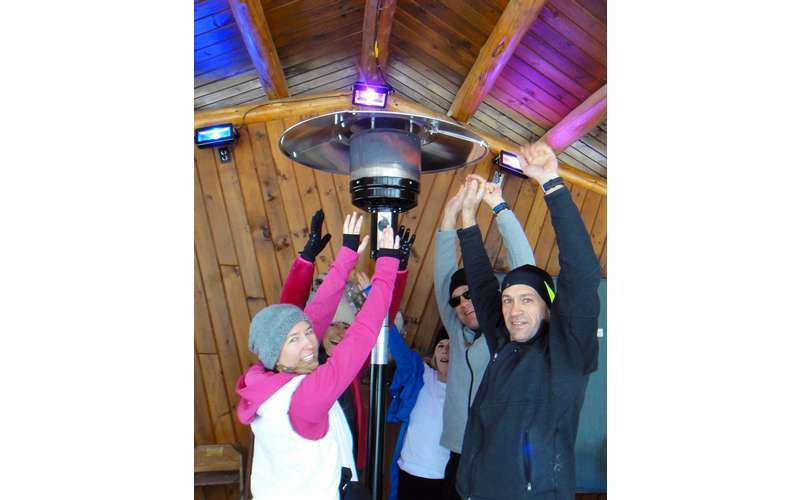 The 15k EXTREME race is EXTREME - the course alternates from 900-foot elevation to 1,660-feet with steep climbs and descents on combination of double and single tracks. No question - the course is HARD but you will see more of the beautiful Stone Bridge and Caves property - sinkholes, ledges and vista views.